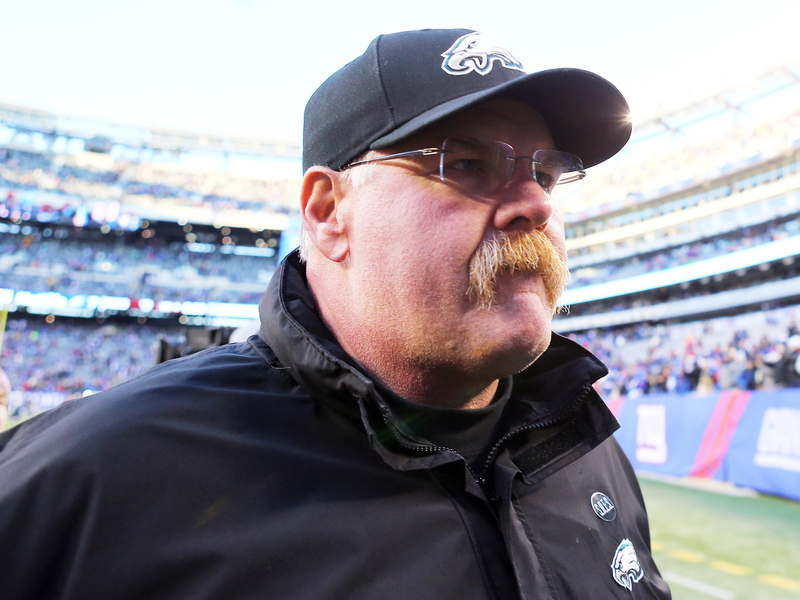 EAST RUTHERFORD, N.J.Andy Reid is out after 14 years coaching the Philadelphia Eagles, people familiar with the decision told The Associated Press and CBSSports.com following Sunday's 42-7 season-ending loss to the New York Giants. However, on Sunday, league sources told CBSSports.com's Jason La Canfora that "Reid was not only bracing for the inevitable but was prepared to leave Philly even if ownership decides to keep him. That decision likely has something to do with Reid knowing that it's time for a change of scenery but also because he will have 'numerous opportunities' for other head-coaching gigs in the coming weeks." Reid is due to make $6 million in 2013 in the final year of his contract. He said he wants to coach next year, but it's possible Lurie could persuade him to take a year off and perhaps help out in the front office in an "advisory" role.